Fuengirola has become one of the favourite destinations of tourists who come to the province of Malaga; thanks to important infrastructure development. This town, which belongs to the Costa del Sol, is located in the centre of this wonderful coastline and is easy to access from anywhere which facilitates the arrival of many tourists throughout the year. It is no coincidence, of course, that 5,550 British have chosen Fuengirola as their place of residence. If you are looking for a vacation on the beach without the bustle of big cities, but with all services, we recommend that you check everything that can offer Fuengirola. Sohail Castle is one of the main attractions of Fuengirola. It is located on a hill facing the sea dominating the coast and the Sierra de Mijas. Abderrahman III ordered the construction of the castle in the year 956; thousand years later, the building has been renovated numerous times to suit its current reality as the scenario for numerous concerts and cultural events. The archaeological site of Finca del Secretario is also worth visiting. The discovery of this Roman enclave occurred in the 70's. In it, there remains among the centuries I and V D.C., amongst others, including a pottery, a spa resort and salting factory were found. The site has an interpretive centre which include the spa rooms which have been recreated. The Plaza de Toros of Fuengirola, opened in 1962, houses every season all kinds of bullfighting and equestrian festivities, such as classic dressage and national competition of hitches and carriages. 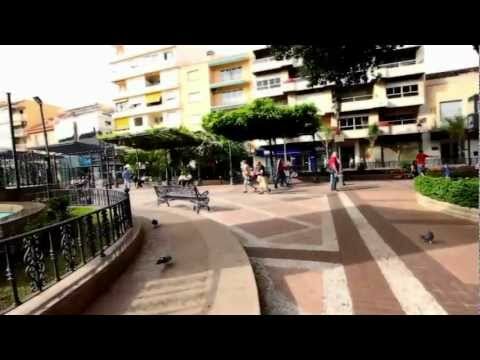 The promenade of Fuengirola is one of the largest in the Spanish coasts. It is eight kilometres long and, while on one side, there is municipality's beaches, whereas on the other side, bars, restaurants, terraces and local hotels and shops are located. In order to reach Fuengirola from Málaga Capital, we recommend to undertake the journey in car through AP-7. It is fastest route, the estimated time being between 25-30 minutes. Another option is to take E-15 until taking AP-7. The journey time is 35 minutes. In public transport, there is a possibility to access Fuengirola in train (C1) from Málaga, the duration being of 1 hour. Fuengirola River Park has become the favourite of those who want to enjoy nature a few meters away from the town centre. It is more than 120,000 square meters that guard large green spaces, fountains, benches and arbors on Walking and resting areas quietly. The seven beaches of Fuengirola are another great attraction of the town. Its location, next to the town, and its very broad services are the main reasons for the visit of tourists, who can see the high level of these facilities, thanks to the signalling blue flags as proof of quality. Among the outstanding beaches, are that of Torreblanca, Los Boliches-Las Gaviotas and Ejido-Castillo. The best of nature is in the Bioparc Fuengirola, a zoo based on biodiversity and the presentation of species, whose recreation of the different ecosystems will surprise the visitor. The Marina of Fuengirola is the axis on which the lovers of sea and water sports meet, enjoying the closeness of its 226 berths in the heart of the city and many restaurants and businesses in the sector to cover all the needs of these tourists. Next to Castillo Sohail, Fuengirola also has another important space to hold large events, Palacio de la Paz (Peace Palace). This premises, of 4,000 square meters and a capacity of over 700 people, hosts every year, an important cultural and recreational programming. The International Fair of Towns, held in May, is the key event of the year. It is related with the meeting between more than 30 countries showing highlights of their culture and folklore. Declared by Provincial Tourist Singularity, this festival lasts four days and includes tastings and exhibitions of music and dance. In June, on the occasion of San Juan, the typical 'júas' (rag dolls stuffed with sawdust) are burned; While in July, as in other towns in the Costa del Sol, on the 16th, there is the fisherman procession celebrated on the day of the Virgen del Carmen. Other festivals highlighted are the Beer Festival in July, held in Arab fortress of Fuengirola; the Medieval Market in August; as well as the Ruta de la Tapa Eroticism, accompanied by theatre performances, concerts, exhibitions and trade shows. One of the most prestigious musical events of the Costa del Sol is the city of Fuengirola Festival, held at the Sohail Castle in the month of July. Each year, in its poster, there are composers and performers of the most varied genres, from flamenco to rock. The festive calendar in Fuengirola is completed with Easter with traditional penitential processions. Fish, served with salt, grilled or fried, is the driving force of cuisine of Fuengirola, which counts among its specialties, rice with seafood, stewed potatoes with conger, dogfish with potatoes, fried whitebait (small anchovies) or mullet fishing. Fuengirola was founded by the Phoenicians under the name of "Suel". They established a fish salting factory in the area, which soon became a major trading spot in the Mediterranean. Under Emperor Augustus, the Romans turned it into a municipality annexed to the conventus of Gades. Evidence of the worship of god Neptune has been found, as well as elements that point at the existence of a powerful nobility. On the slopes of the mount where the Sohail Castle sits, archaeologists found remains of the Suel Iberian-Phoenician settlement then colonised by the Romans: the plinth of a statue, a funerary altar, and so on. The ruins of the Torreblanca baths and the Finca del Secretario site attest to the Roman presence. The so-called "Venus de Fuengirola" was unearthed here. When the Arabs came to the Iberian Peninsula, Suel became "Suhayl". The fortress was expanded under Abd-ar-Rahman III. It was here that King Henry II of Castile and Yusuf I, Sultan of Granada signed the 1340 truce that led to the revival of trade and commerce. According to scholar Juan Temboury, Suhayl was an educated town, the birthplace of illustrious writers like the poet As-Suhaylí, who dedicated a poem to his hometown after the fire. Like many other towns in Andalusia, Suhayl fell to the Christian troops in 1485. By then, it had changed its name to "Font-jirola". After the Reconquista, the town was repopulated with old Christians, but they did not stay for long: in 1511, chronicles registered the village as "depopulated"; it was only a defensive spot, used for coastal surveillance. This led to the lands allocated to Fuengirola during the Repartimientos (land allocation plan) ending up in Mijas. In February 1841, a group of residents in Fuengirola sent a petition for independence from Mijas. They got the autonomy three months later, and Antonio García Cortés was elected as the first town mayor. The newly elected authorities embarked on an expansion of the town"s boundaries, a fruitless endeavour that went on until the early decades of the twentieth century. The local economy was badly affected by phylloxera in the nineteenth century, since most fields were vineyards. The first signs of recovery came with the arrival of the railroad in 1916, followed by the supply of drinking water 20 years later. As early as 1935, the provincial weekly La Provincia referred to Fuengirola as a holiday resort. The first (small) hotels were built in the 1950s. They were the seed of the world-class infrastructure that this town in Western Costa del Sol has to offer today.